Anesthesiology is a medical specialty focusing on relief of pain. After receiving an M.D. or D.O. degree and serving an internship, the physician receives specialized training in anesthesiology during an intensive residency period. By passing rigorous professional examinations, the physician may then qualify for board certification in this specialty. Physicians at The Pain Institute have completed these additional high levels of training to ensure they remain at the top of their field. What is a Doctor of Osteopathic Medicine (D.O.)? Doctors of Osteopathic Medicine, or D.O.s, are fully trained and licensed physicians who practice in all areas of medicine. Both M.D.s and D.O.s must complete residency training in their chosen specialties and must pass the same licensing examination before they can practice. Both an M.D. and a D.O. are doctors licensed to practice in the United States. They are similarly educated and certified. What does it mean when you say "fellowship-trained in pain management"? A fellowship is an additional term of training in the subspecialty of pain management, taken after the medical residency. A physician may be board-certified in pain management after receiving this extensive training and passing rigorous professional examinations. Will insurance pay for treatment at The Pain Institute? Treatment at The Pain Institute is covered by most insurance plans. Depending upon the individual plan, a referral from a primary care physician, or specialty care physician such as an orthopedic surgeon or neurosurgeon, may be necessary. Our expert billing and insurance team will help you understand the details of your insurance plan, including any requirements necessary for your treatment to begin. Treating persons in chronic pain and getting them back to their normal lives is the top priority at The Pain Institute. Payment plans are available for people who are uninsured. How do chronic and acute pain differ? Chronic pain is a type of long-term pain usually initiated by an injury, and may last much longer than the pain caused by the injury itself. Suffering from chronic pain can lead to emotional problems. Anger and despair may result in anxiety or even depression. Left untreated, chronic pain can result in trouble sleeping and even changes in personality that harm relationships with family, friends and co-workers. Acute pain is shorter and more limited than chronic pain. It is usually the result of an injury, illness or surgery, and may go away after the healing process is complete. The goal at The Pain Institute is to keep acute pain from turning into chronic pain. What are my pain treatment options? What can be done for back pain? The Pain Institute utilizes a variety of treatment technologies to help patients return to pain-free, normal, productive lives. Some of the treatments include epidural blocks, medicine management, physical therapy, behavioral therapy, stress management and a host of other interdisciplinary options. Can radio frequency relieve back pain after an accident? Any forceful accident can injure small joints and stretch and tear ligaments, muscles or nerves in your body. Some injuries can cause a unique problem in that the injury may not create any symptoms for days or weeks following the accident. Generally, these symptoms do not resolve on their own and can get worse with time. Percutaneous Radio-Frequency Neurotomy, called “Radio Frequency” for short, is a method of alleviating the pain. Basically, Radio Frequency interrupts pain signals by focusing a small amount of radio energy on the nerve tissues sending pain signals to the brain. Physicians at The Pain Institute perform the Radio Frequency procedure under the guidance of x-ray photography. A microelectrode is used to begin the stimulation process. During this process, a patient is asked simple questions. This feedback helps the physician focus on and eliminate the pain pathways. This method provides a safe means of relieving back pain. Clinical data shows that Radio Frequency can play a part in long-lasting results for those who suffer from pain. What are some treatments for shingles? The same virus that causes chickenpox in a child is the cause of shingles in an adult. The virus can lie dormant in the nervous system and spinal cord for long periods of time before symptoms are triggered. A variety of things can trigger the activation of this virus, such as u.v. light, stress or other illnesses. The symptoms tend to occur on only one side of the body. The pain may be present 10-14 days prior to the start of the rash, and it may mimic other illnesses, such as heart attacks, peptic ulcer disease and pneumonia. The symptoms associated with an acute outbreak of shingles may consist of red blisters — which will eventually turn into scabbing lesions — associated with itching or sharp, shooting pain. The pain, which is associated with the nerve endings, can linger up to a month or longer than a year after the rash is gone. This is referred to as post-herpetic neuralgia. A physician may prescribe topical ointments or pain relievers as well as anti-viral medications, electrical stimulation and a new advancement referred to as Lidoderm patches. Lidoderm patches are topical applications of a local anesthetic. This allows relief of the pain due to a numbing effect. If these treatments fail, a series of epidural nerve blocks may be effective to relieve the pain. The procedure involves placing a very small amount of an anti-inflammatory substance (steroid) mixed with a local anesthetic agent into the epidural space. This works better than ingesting a drug orally. Oral drugs must be absorbed and carried throughout the bloodstream, which dilutes their effects. The epidural nerve block offers an additional treatment option for patients suffering from shingles or post-herpetic pain. How can arthritis in knees be helped? Many arthritis patients take medication to alleviate pain, but now there are new alternatives that will help alleviate some of the pain. The Pain Institute uses a professional staff of fellowship-trained Board-certified anesthesiologists who are experts in the field of pain management. Michael C. Cronen, D.O., medical director of The Pain Institute, works in conjunction with other specialists, including physicians, nurses, physical therapists and psychologists, to develop personalized treatment plans for patients who suffer from arthritic pain. Very often, Dr. Cronen will administer injections of hyaluronic acid or epidural blocks, which are effective because he is able to place a small amount of medicine right at the site of the problem. This has advantages over oral drug ingestion. Oral drugs must be absorbed and carried through the bloodstream, which dilutes their effects. Injections offer an option for those suffering from leg, neck, shoulder and lower-back pain. What is a trigger point, and how could I go about treating it? In most instances, a trigger point is a focal point of pain. It is an area of irritation in the vicinity of a joint and may include the joint. The irritation is usually caused by a strain, fibromyositis (inflammation of muscle or tendon) or in association with arthritis. In many cases, the pain is very intense and can be associated with muscle spasm. The area is aggravated by movement and can cause severe disability. The most common areas of involvement are the lower back, the hips and the shoulders. However, any area in and around a joint may be involved. The usual treatment, ASA and Tylenol, may not relieve the pain and spasm quickly and may take considerable time to achieve significant relief. A quick and effective method for overcoming the problem is to pinpoint the area and inject it with a local anesthetic and a small amount of steroid. The anesthetic provides immediate relief, and the steroid provides more lasting relief. The shots may have to be repeated, but many patients experience long-term relief with this treatment. Can you help with pain relief after neck or back surgery? Sometimes surgery helps, but leg and back pain continues. Medications and injections may provide minimal relief and repeat surgery may not be possible or advisable. Neuromodulation is a great technology that acts directly upon the nerves. It alters or modulates nerve activity by delivering electrical stimulation directly to a target area, thus reducing pain felt in those areas. Neuromodulation devices and treatments are life-changing. Significant ongoing improvements in technology make it possible to target pain that was difficult to treat in the past. What is an Amniotic Fluid Injection (Stem Cell Recruitment Therapy)? Amniotic fluid contains a multitude of proteins and growth factors. Together they create an extra- cellular matrix to recruit the body’s stem cells to reconstruct and regenerate the injured tissue that is causing pain. This promotes the body’s own healing process, therefore, it can take 3-6 weeks for you to feel the full effect. By using Amniotic Fluid, arthritis and soft tissue injury patients have another option to repair tissue damage without surgery. Return to everyday, non-high impact activities, within 24- 48 hours. Regenerative Medicine is one of our specialties. Patients have reported improved pain relief and repair for the following: 1. Mid or lower back pain, sacroiliac joints. 2. Joint Injuries: knees, hips, shoulders, elbows, wrists, ankles, fingers and toes. 3. Soft tissue injuries: plantar fasciitis, tennis elbow, rotator cuff syndrome. The Amniotic Fluid is obtained during full- term cesarean births from healthy donors who have volunteered their placenta and amniotic fluid. Donation does not require fetal sacrifice. What is CBD? CBD, short for cannabidiol, is found in the cannabis plant. Cannabis is a plant category that includes hemp and marijuana, which means you can get CBD from both hemp and marijuana. CBD isn’t the only cannabinoid found in cannabis; in fact, over 100 cannabinoids have been discovered so far. We are focused on the CBD that comes from hemp: a plant that has been used for centuries by many cultures which won’t get you high. CBD is an all- natural product that helps maintain overall health. Research on the potential health benefits of CBD oil is ongoing, so new therapeutic uses for this natural remedy are sure to be discovered. People who may be good candidates for CBD have symptoms of: anxiety, insomnia, pain, fibromyalgia, depression and migraine. Use of CBD may minimize or delete the need for some prescription medications for treatment of these issues. We carry 10mg/ml and 20mg/ml Full Spectrum Extract, or oil, Full Spectrum Soft Gels and Topicals. Full Spectrum products result in greater therapeutic response at a lower dose. Bio-identical Hormone Replacement Therapy (BHRT) is a treatment for many common and debilitating symptoms that are often overlooked by doctors. Some of these symptoms include exhaustion, stress, foggy thinking, weight gain, sleep disturbances, night sweats, hot flashes and so much more. These ailments are treated by getting to the root cause of these complex conditions. Often, people with symptoms like these are suffering from hormonal imbalance. BHRT is a natural and simple method for correcting these complex issues. Your hormones are one of the most important regulatory systems embedded in your body. They act as messengers, designed to interact with specific target cells and organs and provoke a change or result. As we age, hormone production changes, and hormonal imbalance can occur. Unbalanced hormones can have a variety of side effects and symptoms. Our Certified BioTe Medical providers offer BHRT pellet therapy, nutraceuticals and a high- quality standard of care to patients. Bio-identical Hormone Replacement Therapy (BHRT) begins to work within seven to ten days of your pellet insertion. Most patients report some symptom resolution in as little as two to four weeks, but full optimization may take up to six months. Your journey will be customized to fit your specific needs. It takes more than one to two weeks for your hormones to get out of balance, so expect it to take time to resolve. Once a pellet is inserted into the gluteal area, a consistent dose of bio-identical (naturally derived) hormones enter the bloodstream. Every BHRT pellet is custom-compounded to the patient’s unique physiology. Tailoring every treatment to the patient helps ensure the greatest possible success in achieving hormonal balance. Furthermore, the pellets are derived from plants, not animals, which closely mimic the hormones naturally present within your body. Studies have shown that bio-identical hormone pellet therapy may offer you the most benefits. Schedule a visit with us to test your current hormone levels. Based on your comprehensive consultation and thorough blood work panel, we will determine if you are a candidate for BioTE pellet therapy. Pellet therapy is supported by specially formulated Nutraceuticals from BioTE® Medical. 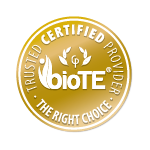 BioTE Nutraceuticals are high-grade supplements containing high-quality ingredients that undergo 3rd party validation. We offer DIM, ADK-10, Probiotics, Omega 30 Plus, Iodine Plus, Multivitamin, Methyl-Guard Plus and Meriva 500 SF nutraceuticals. Additional information about each Nutraceutical is available in the Pain Store. What is Low- dose Naltrexone? Low- dose Naltrexone (LDN) has been demonstrated to reduce symptom severity in conditions such as fibromyalgia, Crohn’s disease, multiple sclerosis and complex regional pain syndrome. As a daily oral therapy, LDN is inexpensive and well- tolerated. Studies support the view that chronic pain, especially chronic nerve conditions such as Complex Regional Pain Syndrome, Reflex Sympathetic Dystrophy, Diabetic Peripheral Neuropathy are auto-immune based. LDN does not work immediately. It may take anywhere from a few weeks to many months. Users have reported to notice a difference after 9-12 months. After the initial response, it continues to show a benefit. The main goal of LDN is to slow or halt the progression of disease. Improvements seen in pain include decreases in exacerbation of pain, symptom improvement, improved functioning and better tolerance to pain. What Bracing Options are available? Up to 85% of adults will experience back pain at some point in their lives. Lumbar braces deliver a highly effective non- narcotic option to treat debilitation back pain. The rigid structure of the brace keeps you in perfect alignment preventing any kind of rotational or overextension injury. It is easy to put on and remove, even for elderly users. The braces we use represent the next generation in Lumbar- Sacral Orthotics. Use of anterior, posterior and sagittal panels create intracavitary pressure to unload the lumbar discs. The removable gel pack can be used as heat therapy for chronic pain and cold therapy for acute pain. The braces material is anti-microbial, washable and can be a hard or soft brace. The rigid structure of the brace keeps you in perfect alignment preventing any kind of rotational or overextension injury. It is easy to put on and remove, even for elderly users. The wrist brace helps you restrain the joint and stabilize the wrist bones and muscles as you heal with its padded, contoured strap allowing complete hand movement while supporting the thumb.